The Vauxhall Corsa is one of the highest selling small cars on the UK market, and there are many reasons for its continuing popularity. It offers the space and comfort of a larger vehicle, while offering the nippiness and manoeuvrability of a city car. Pricing: The Vauxhall Corsa is a perfect car for students or first-time buyers. It has a mid to low range price tag, and low running costs. While there is a choice of diesel and petrol engines, the 1.2 petrol engine tends to balance out the best in terms of economy and performance. The Corsa has a great insurance rate, and low enough emissions to make it tax friendly. Practicality: The small size of the Corsa means it’s a perfect car to use around town, and coupled with its 5-door version, there’s enough interior space for four adults to sit comfortably. Boot space is not as large as its competitors but it’s adequate nonetheless. Handling: The steering is light and quick, and it offers a combination of ease and entertainment. It has a tight turning circle, which allows great negotiation between small spaces in the city centre. At high speeds, the light steering may be the only problem in term of its handling ability. Interior: Its interior is stylish and durable, although it lacks the edge that the Volkswagen Polo captured. The dashboard is simply laid out to allow easy and accessible use, but some of the more basic models lack functions such as steering wheel adjustment and driver seat height alterations. Like almost every model of car, the Vauxhall Corsa has its fair share of problems. Resale Value: Its resale value is particularly low, although the low running costs tend to overshadow this. Safety Rating: The vehicle didn’t do very well in the 2010 Driver Power Survey, and in 2007, there were numerous recalls. The main safety issues are its lack of safety equipment. 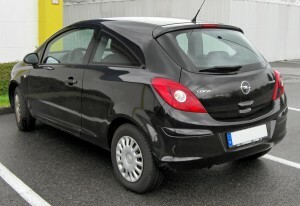 The Vauxhall Corsa is still one of the most popular and reliable little cars on the market. However as these vehicles age, their resale value suffers and they encounter their fair share of problems. If your Corsa has seen better days, it may be time for a trip to the scrap yard. To scrap yours, contact Scrap car Kings today.